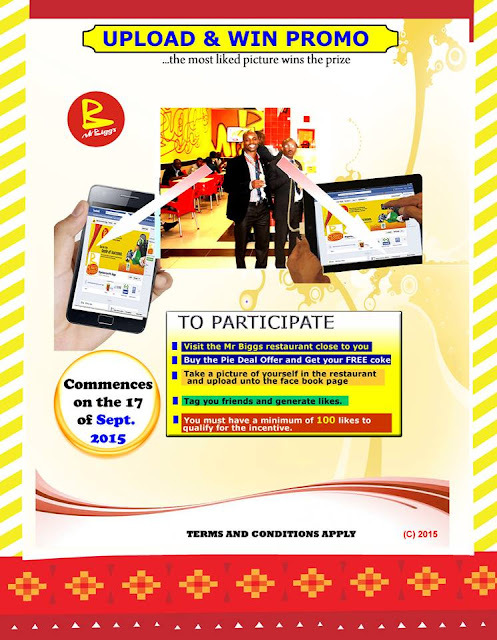 Its Mr. Biggs Upload and Win Promo. 5. You must have a minimum of 100 likes to qualify for the incentive. Promo starts on 17th September 2015. You won the tablet or iPhone?